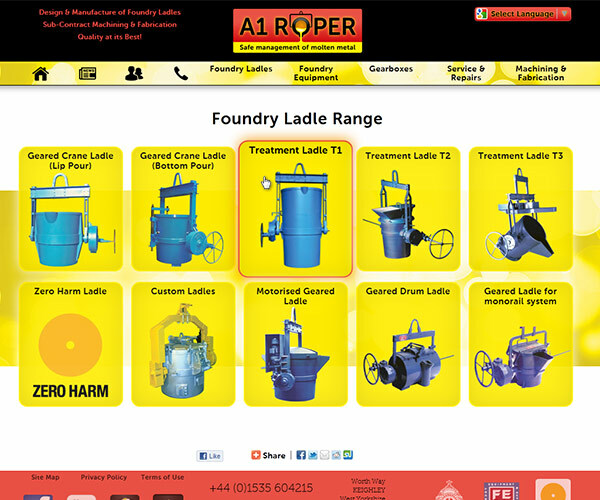 A1 Roper manufacture & service ladles and related foundry equipment. The deadline was tight on this one as they wanted to launch their new identity and website at an upcoming Worldwide Trade Show. With only a month to go we designed a new logo and business stationery. This was followed by a product brochure and then a matching modern website to showcase their products and services. To better service a global customer base the site was integrated with Google Translate to make it available in over 50 languages. Special care was taken to ensure the design would still work in all these languages and alphabets.